During Christmas time there are many people and tourists who live the city decorated with lights and Christmas trees. Christmas in Milan always offers numerous opportunities for entertainment: exhibitions, cinemas, Christmas markets, concerts, special events. 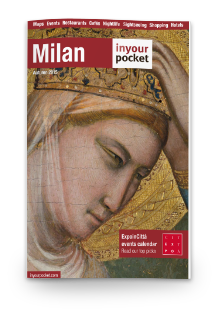 Here are some exhibitions that you can discover in the Milan center between a purchase and the other of Christmas gifts. Until February 24, 2019, the path on the roofs of the Galleria Vittorio Emanuele, hosts an exhibition dedicated to the city and its evolution over the centuries, a true photographic story of Milan. The Highline Galleria‘s walkways host a route created through the photographs of Milan. The project was organized in collaboration with the Circolo Fotografico of Milan, the Civico Archivio Fotografico and the photographer Andrea Cherchi. “Tutta mia la città” is the photographic story of Milan, retracing 150 years of history. 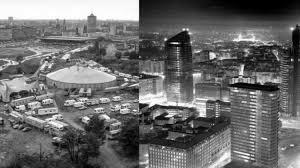 A story that shows the change of the most famous areas of the city: Milan Cathedral, Casello Sforzesco, the Navigli and many others. WHEN: from Tuesday to Friday from 12.00 to 15.00 and from 17.00 to 20.00. Saturday and Sunday from 11.30 to 21.00. Why not discover one of the leading London street art artists during Christmas in Milan? The Mudec of Milan hosts the exhibition dedicated to Banksy retracing his training, from the beginning as a street writer, to become a mass world phenomenon. 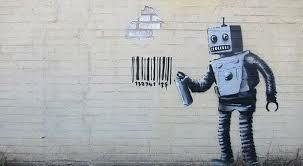 His works are characterized by an explicit provocation against power, conformity and consumerism. The recurring themes in his works are: war, the media, homologation, pollution. Committed arguments and often provocative images are rendered through the simple language of the stencil, which was designed to escape quickly from the police, has become an unmistakable trait of Banksy’s art. An exhibition in Milan that you can not miss, is certainly the one organized by the Palazzo Reale dedicated to the master of Cubism, Picasso Metamorfosi. The exhibition itinerary collects the testimonies of the multifaceted and fruitful relationship that the Spanish master has developed with myth and the ancient. 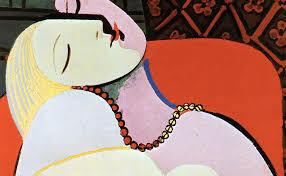 The exhibition, curated by Pascale Picard (director of the Civic Museums of Avignon), contains about 200 works, works by Picasso and creations of ancient art to which the painter was inspired, coming from the Musée National Picasso in Paris and other important museums such as the Musée du Louvre in Paris, the Vatican Museums in Rome, the National Archaeological Museum in Naples, the Musée Picasso in Antibes, the Musée des Beaux-Arts in Lyon, the Center Pompidou in Paris, the Musée de l’Orangerie in Paris, the Museu Picasso of Barcelona. Starting from November 28, Palazzo Marino hosts a new masterpiece of Italian art, The Adoration of the Magi by Perugino, painted in 1473 for the Church of Santa Maria dei Servi in ​​Perugia and now kept at the National Gallery of Umbria. 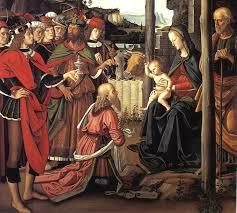 Perugino was one of the protagonists of the Italian Renaissance and Raphael’s teacher. The artist painted Adoration during the youth period. The exhibition at Palazzo Marino is curated by Marco Pierini, director of the Galleria Nazionale dell’Umbria, who thanks to this initiative can proceed with the restoration of the work before being transported to Milan. Promoted by the City of Milan and Intesa Sanpaolo with the support of Rinascente, the exhibition is coordinated by Palazzo Reale and realized together with the National Gallery of Umbria in Perugia, with the support of the Municipality of Perugia and the Umbria Region, in collaboration with the Galleries of Italy in Piazza della Scala and organized with Civita. As part of the collaboration with the Region of Umbria, once again this year the Municipality of Milan hosts, as always in the courtyard of Palazzo Marino, the nativity scene of the Umbrian tradition. At Christmas, do not miss the show of illuminated and decorated canals with Christmas decorations. This year on Christmas Eve you can admire the Navigli from the boat of Cinema Bianchini, enjoying a Christmas film immersed in a unique atmosphere. During the Christmas season you can enjoy a lunch or dinner at the museum. 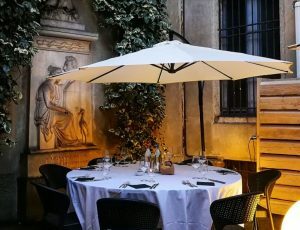 A different experience from the usual, in which, in addition to enjoying the dishes of the menu, you can enrich the experience by discovering a place where the story of Milan is told. 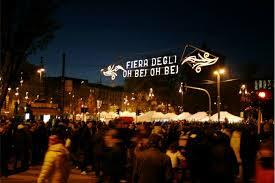 An unmissable event is the Oh Bej Oh Bej fair, the oldest Christmas fair in Milan. It takes place from the Castello Sforzesco and through the streets of the city from 7 December to 10 December. The fair was born from an episode of 1500: sent by the Pope to restore energy in the Milanese cult, Giannetto Castiglione was afraid of not being well received by the citizens. Thus, on the day of Sant’Ambrogio, he presented himself to the city full of gifts that he gave along the way to the Basilica of Sant’Ambrogio. The enthusiastic expression of the children (oh beautiful! Oh beautiful!) Gave the name to the fair. 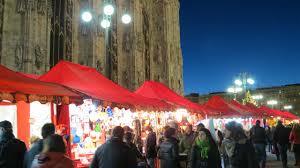 The classic wooden houses, return to Piazza Duomo from November 25. The square will be set up with wooden houses that sell gastronomic specialties from the various regions of Italy. 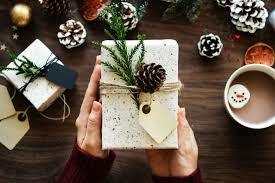 For many of us, making Christmas presents is always very challenging, and original ideas are often lacking. This year why do not you give a unique and unforgettable experience? Inside the Quadrilatero della Bellezza, there are numerous cultural initiatives that take place during the Christmas in Milan: the Cinema by boat on the canals, the dinners at the museum, the exhibitions on the roofs of the Gallery and much more!